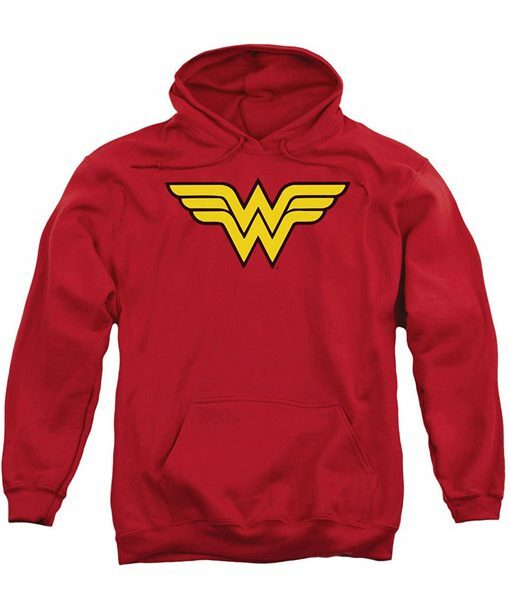 Wonder Woman Hoodie is a ravishing gimmick of the phenomenal character of the Woman who is full of wonders. This gives young and beautiful attraction to the real fans of the Wonder Woman. 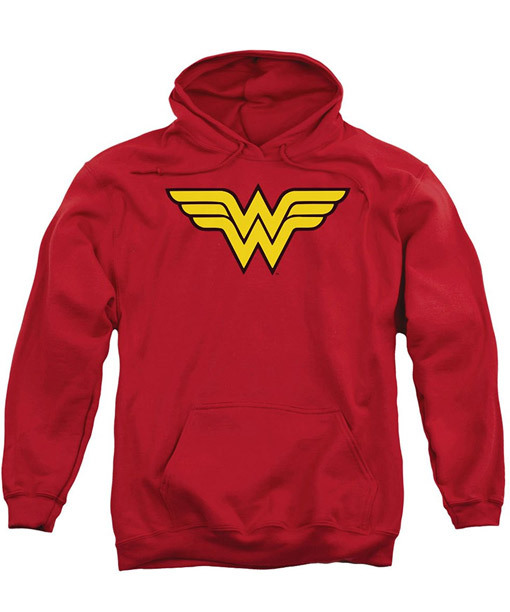 Wonder Woman Pullover Hoodie is produced in cotton material. This attire also covers hood with lace adjustment, wonder woman logo on chest, long sleeves and rib-knitted cuffs and hemline. This apparel is red in color.